Little’s riveting, enlightening historical fiction puts a human face on the costs of war. Judithe Little’s Wickwythe Hall is a riveting and enlightening mix of history and fiction that puts a human face on the costs of war. Set in England against the backdrop of World War II, the lives of three characters intersect during a weekend at a country estate where Prime Minister Winston Churchill is also a guest. One moment, twenty-two-year-old Annelle is having a dress fitted; the next, she is on the run as the Germans march through her native France. Forced to flee, she eventually reaches England as part of the Dunkirk evacuation. It’s there that the American-born Lady Mabry, giving care and comfort to British soldiers while dealing with her own tragedy, takes her in. Reid, a confidante to both Churchill and President Franklin Roosevelt, serves as a secret liaison between the two men. The main story, in which Britain waits, tense and helpless, for Germany’s attack, unfolds at a brisk pace, with many flashbacks successfully fleshing out the characters’ individual histories. An in-depth view of Churchill’s unique personality is a plus. Through a very authentic device that accentuates her heritage, Annelle’s inner and spoken dialogue is interspersed with French phrases as she deals with her PTSD. Mabry’s voice and independent manner are very distinct. Her profoundly American trait of confident bluntness is apparent when she first sees her future husband, Tony: “They didn’t grow people like him in Virginia.” Reid, a moral and honorable man caught in an extremely tenuous situation, yearns to slip back to a more pleasant past. The harsh reality and sad inevitability of war is ever present—the women shoppers “carried gas masks along with their shopping baskets.” The evacuation of children from London to the countryside also affects Wickwythe Hall and its guests, while the British bombing of its one-time ally, France, is a climactic event. 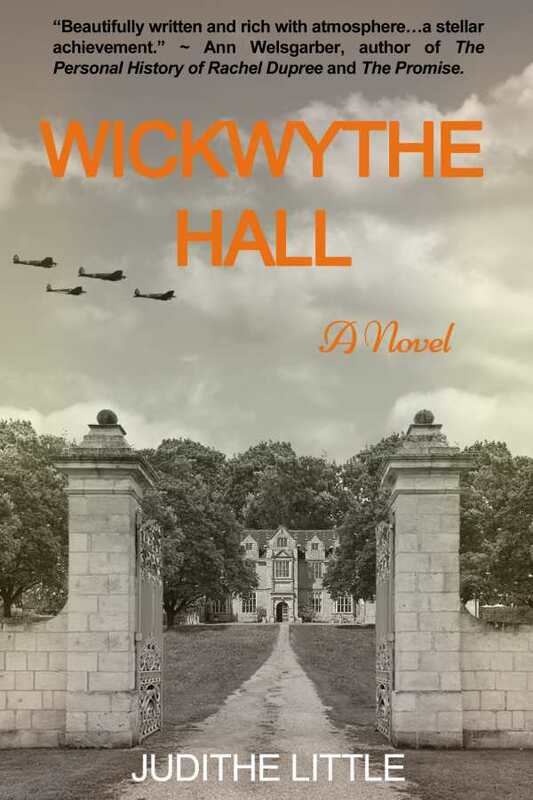 Inspired by true events, Wickwythe Hall is engaging historical fiction depicting people caught up in situations beyond their control.